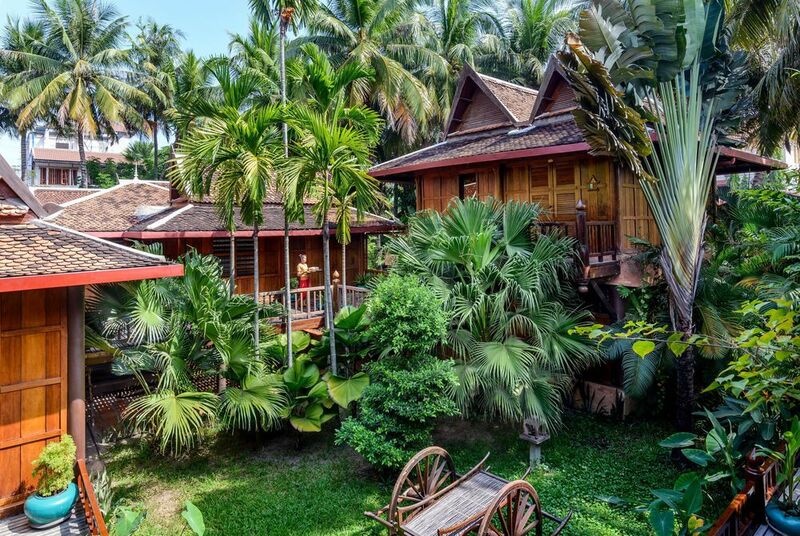 The Angkor Village Hotel, established in 1992, is built in a traditional, authentic Khmer style, with beautiful wooden houses, lots of character and stunning gardens. 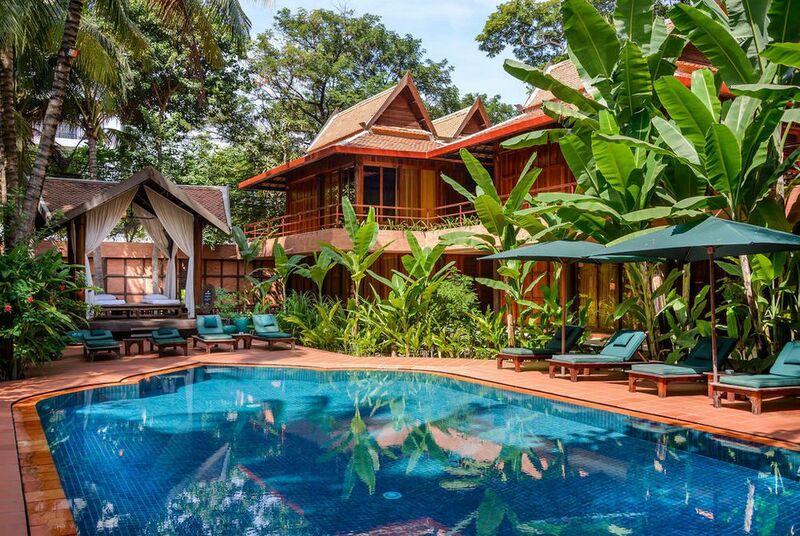 It is also located within the bustling town of Siem Reap, and within a stone's throw of the beautiful UNESCO World Heritage Site of Angkor Wat. It's also just opposite a beautiful house that's been converted into a theatre, and is within walking distance of the centre of town. 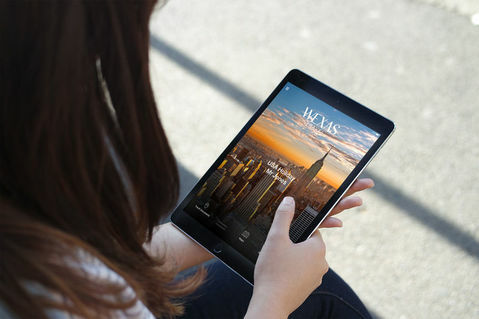 There are rooms and suites on offer at the hotel. 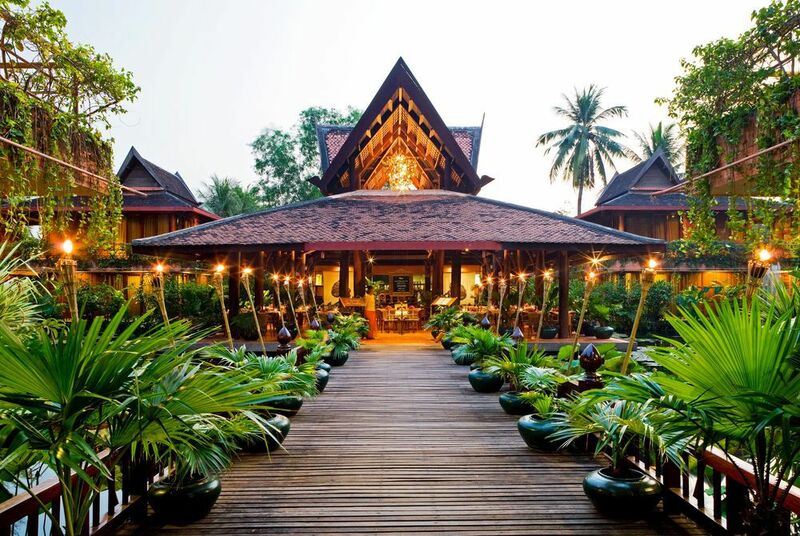 Rooms are authentically and traditionally decorated, and each has its own unique character, featuring arts, crafts and furnishings carefully made from local materials. 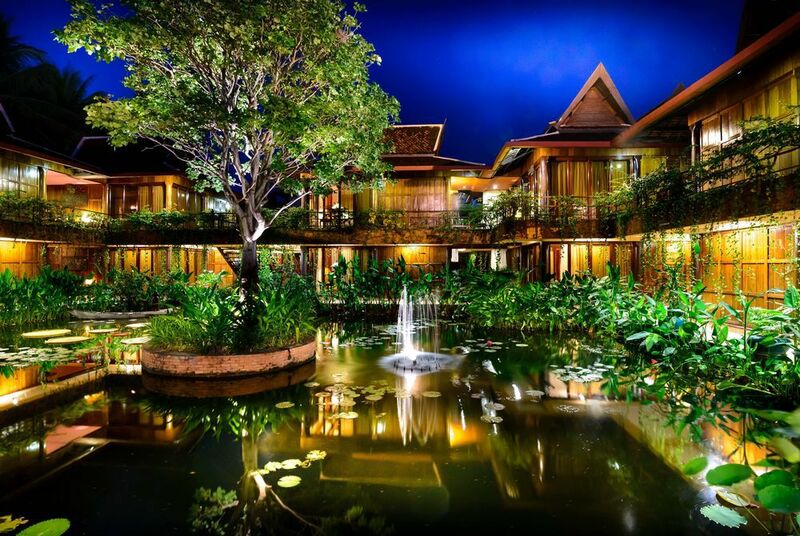 They also have stunning views of the flourishing gardens and lotus ponds. 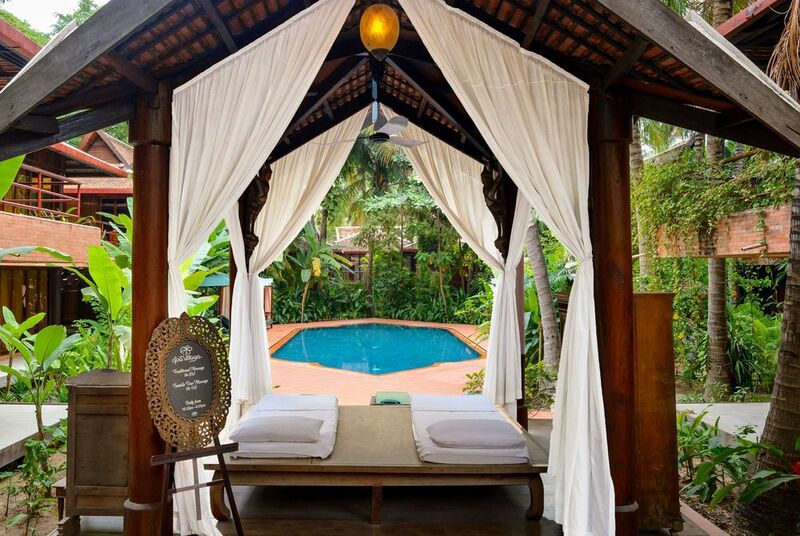 Suites, on the other hand, exude an old-world charm and local flavour. 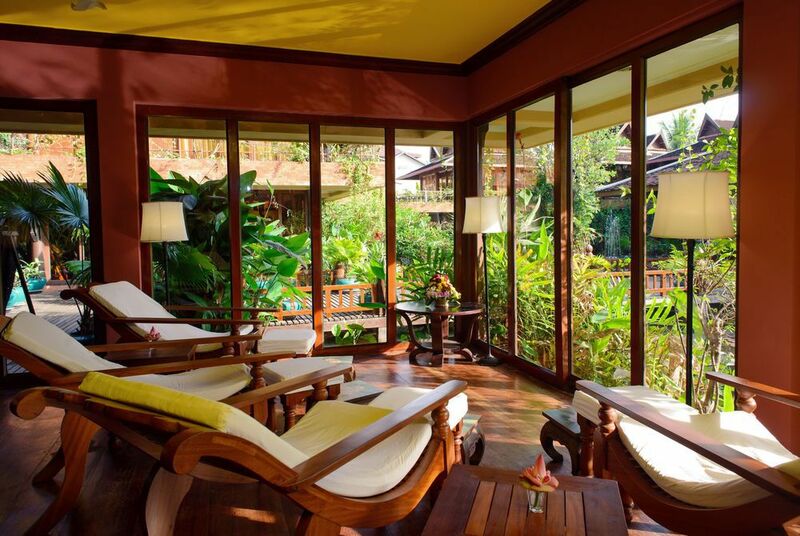 Furniture and fittings are carefully crafted to match authentic Cambodian styles, and they feature large living rooms, separate bedrooms, showers, bathtubs and extra space. There is one main restaurant at the hotel. 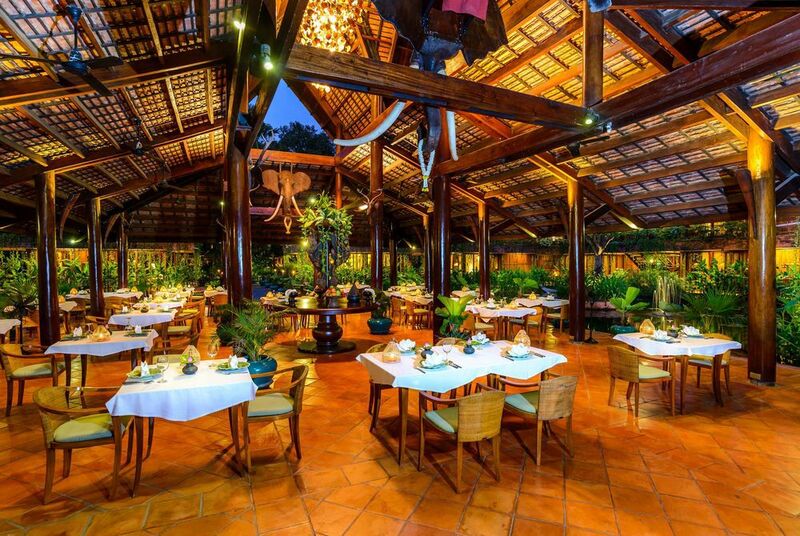 L’Auberge Des Temples serves traditional Khmer cuisine in a romantic dining room setting. 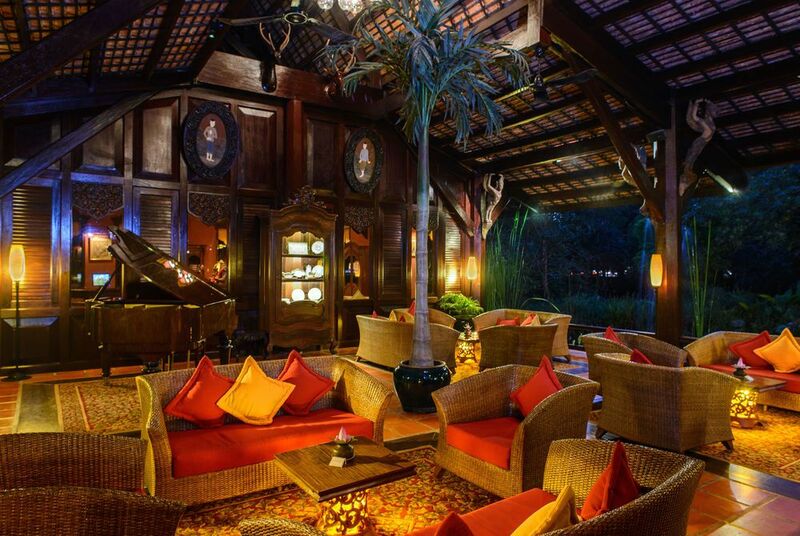 Alternatively, visit the Lobby Lounge, where you can enjoy skilfully prepared cocktails, and a fresh cosy ambiance. There is also the option of eating at the Aspra Theatre that's just across the road. 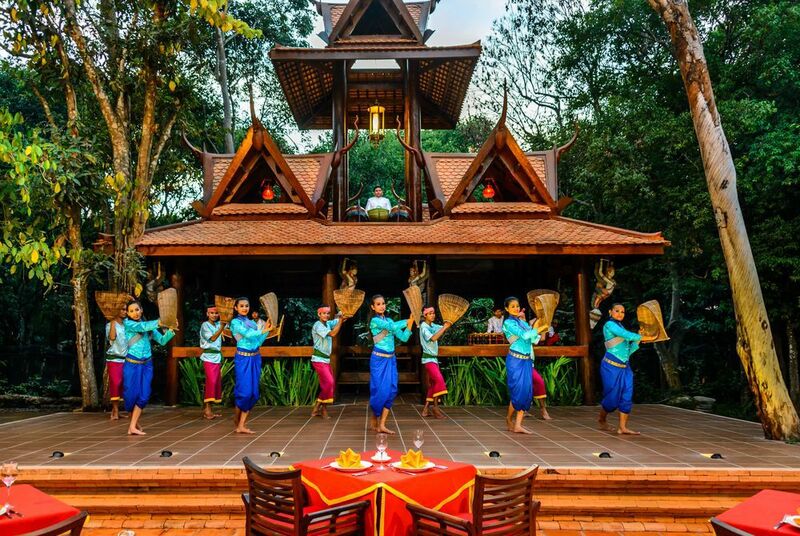 The highlight of the facilities on offer at the Angkor Village Hotel is the fantastic Aspra Theatre, which is fully air-conditioned, and brings together dancers, singers and musicians to provide excellent evening entertainment. It’s also the ideal place to enjoy your dinner while watching a show. 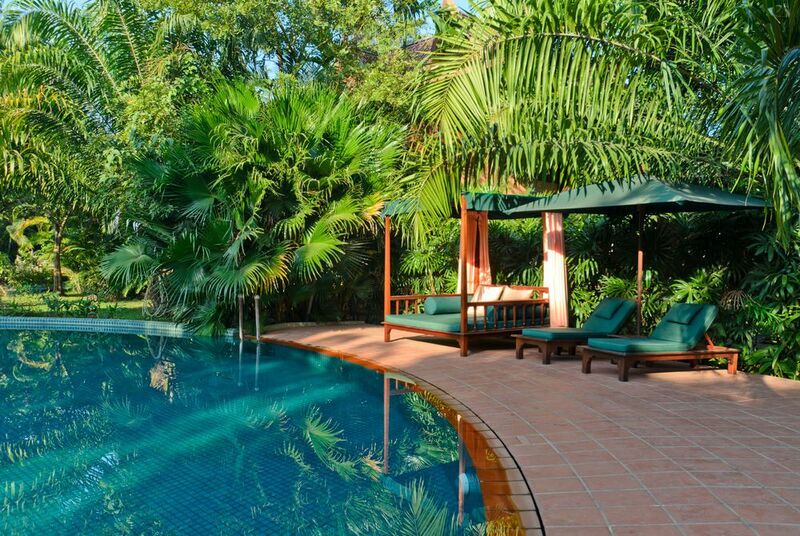 There’s also a swimming pool, a relaxing massage parlour, and a library.